Just in time for the weekend, we have lots of fantastic feedback via scientist “alexh” from the Allen Institute for Brain Science. He has been providing everyone with frequent comments on each challenge to date. Have you been regularly checking in on your traces? (You may be surprised. He often points out areas that need tracing, and paying attention to those can boost your score.) Whenever possible, he also tries to provide us with a summary of “how we did” afterwards. In case you missed it from the forums, the "gold standard" label is given to things that have already been currently reconstructed by experts (either elsewhere or at the Allen Institute for Brain Science) that we use to evaluate against to measure the effectiveness of our tools and help identify areas that could use more education efforts. This is a spiny cell, with essentially no axon (the axon exits the soma and is immediately cutoff at the surface of the slice). The final consensus failed to capture only four short segments, but most importantly there were zero false positives. Below is an image of the overlay with consensus in green and gold standard in red. Because they agree so closely, you may find it difficult to see the consensus in some places. The reasons we think this consensus was so successful include an excellent signal-to-noise in the images (which can be seen in the maximum intensity projection (MIP) below-right), and no axon present. This is an aspiny cell with tons of axon. Importantly, there is not much false positive in the consensus. The dendrites were mostly captured, though a few segments, branches and tips were missed. There was a lot of missed axon, with about 60% captured. 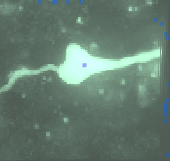 Of note, there was a bunch of axon that was missed in the upper-left of the image. The reason for this is that there was no connection back to the main structure and the gap was larger than the fog would allow tracers to see. However, as is, the consensus would be a good starting point for us. This is an aspiny cell with poor image/cell quality and lots of axon. There is more missed dendrite than in a typical case (5 large segments). You can see from the maximum intensity projection (MIP) that even the dendrites are much more difficult to discern for this cell than previous cells. The axon is about 50% complete. 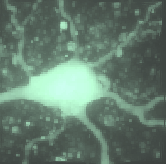 There are numerous axon segments that are captured, but only as a series of dots (not a continuous line). There is also a lot of false positive signal throughout the consensus. We attribute this to the overall poor quality of the image/cell; low signal-to-noise is very difficult to reconstruct. This consensus is a great starting place. Eager for feedback on earlier challenges? 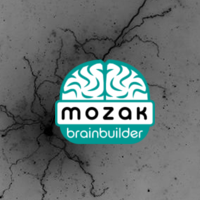 Scientist notes on 03: Mouse Neuron V1 is available for review. Look for another feedback wrapup post on Monday. Good job, everyone, and thank you alexh for taking time out to send post-challenge notes and your continued feedback so we can keep learning. It’s not the start of a clever joke, but it is a fresh neuron from the primary visual cortex. Make your mark upon the leaderboard and get started now. Mouse-V1-12 will remain up through the weekend, and is likely to close early next week, so don’t forget to show it some love as well. Also in time for the weekend, stay tuned for a brand new scientist feedback post with comparisions of challenges Mouse-V1-04 through Mouse-V1-07. On Monday, we'll bring you feedback on Mouse-V1-08 through Mouse-V1-10. Have a fantastic weekend, and keep doing an awesome job! Have you been working diligently on Mouse-V1-11? You’ll be pleased to know that our efforts are paying off, and this challenge will close at the end of the day today (Friday). That means you have until 5pm Pacific time (convert your timezone here) to wrap things up. Look for a fresh neuron to appear later today in time for the weekend. We have been told it is also from the primary visual cortex. Let’s see how fast we can get through it! 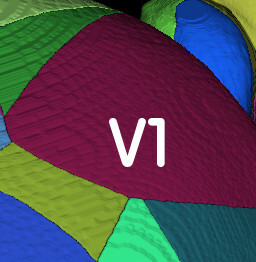 For your mid-week enjoyment, Mouse-V1-12 is now available. Be sure to leave any feedback or questions you may have in our forums. Please keep in mind Mouse-V1-11 is likely to close before the end of this week, so be sure to get those traces on that done first!